Fantasy Pools - A Pool Pickle: Don\'t Try This at Home! A Pool Pickle: Don't Try This at Home! 2015 is a DIYers dream. It seems there is a new television show or blog post every day telling us how to make over our homes into the fantasy escapes we all long to come home to at the end of each long day. Renovating your home - whether to increase its curb appeal for yourself or the real estate market - has never been more popular! But, you probably should not try a DIY swimming pool! Also on the probable mistake list would be using an unlicensed contractor to build or renovate your new backyard oasis. It can end up almost as badly. Trust us. We have had to come in to clean up some pretty scary mistakes over the years. 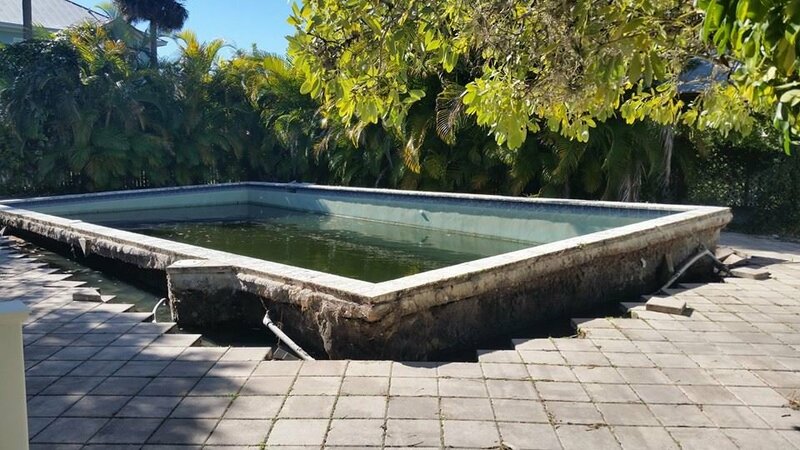 From builders who didn’t pull all of the needed permits or check for underground cables to sub-par contractors who drained pools so incorrectly that the entire yard was destroyed, we have seen (and fixed) it all! We can’t promise not to chuckle, but we can promise to get the job done right for you.